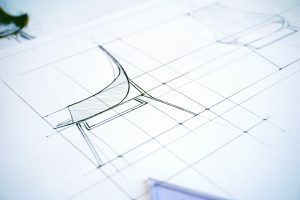 Whether you’re utilizing new office furniture to create a modernized image for your office space or upping your sustainability by furnishing your building with recycled desks and office chairs, there are some key concerns you will want to address before taking the plunge on a new and updated image. The following tips will ensure that your office facelift does not turn into major surgery. 1. Check new building for critical measurements. Before ordering the office furniture (desks, office chairs, filing cabinets, etc.) of your choice, make sure to measure the office space within your new location, and waste not on , impractical office furniture. 2. Make sure you have received all order acknowledgments and shipping confirmations from the manufacturers for all office furniture. Double check that your orders have been received and your materials have been shipped. Leave no cabinet behind! Just imagine the first day after the move without these items. Employees won’t be too keen on sharing desks. 3. Contact the furniture company at least six months prior to move. Give yourself and the furniture company plenty of time to prepare prior to the move so that you don’t lose any productivity due to MIA cubicles. 4. Perform lighting check of all work areas/working surfaces .Double check that your lighting operates in conjunction with your office furniture and will work in your new office space. Lighting is crucial for setting the tone of your office space and can have huge impacts on your employees’ moods! 5. After delivery, have dealer representative out for punch list of all office furniture. Bring in your furniture dealer rep to go over what has been delivered to the new office space to double check that everything you ordered is present and accounted for. Also examine office furniture for any possible shipping damage so you can order a replacement right away. Understanding the vision for your new office space is crucial, but so are these key details that are so easy to overlook! With a little research and the right questions, you can turn a complicated office move into an easy transition toward success! Your new location needs a lot more than furniture. You would be surprised what most moving coordinator’s overlook. This checklist tells you step-by-step what to consider while furnishing your office. Get Your Free Furniture Checklist!